In the words of my son: so delicious, so tasty. This is delectable and the coating is fantastic. It crisps up beautifully in the oven and gives the roast a wonderful flavor. This recipe is so simple and turns out amazing. This will impress anyone. 1) Preheat oven to 425 degrees. Trim the roast of any excessive fat, leave about 1/4 inch at the most. 2) Season the roast with a light coating of salt, pepper and garlic powder on both sides. I placed it on a rack above a large baking sheet. 3) Cook for 30 minutes. 4) Change oven temp to 375 degrees. Baste the roast heartily with the honey dijon mustard. 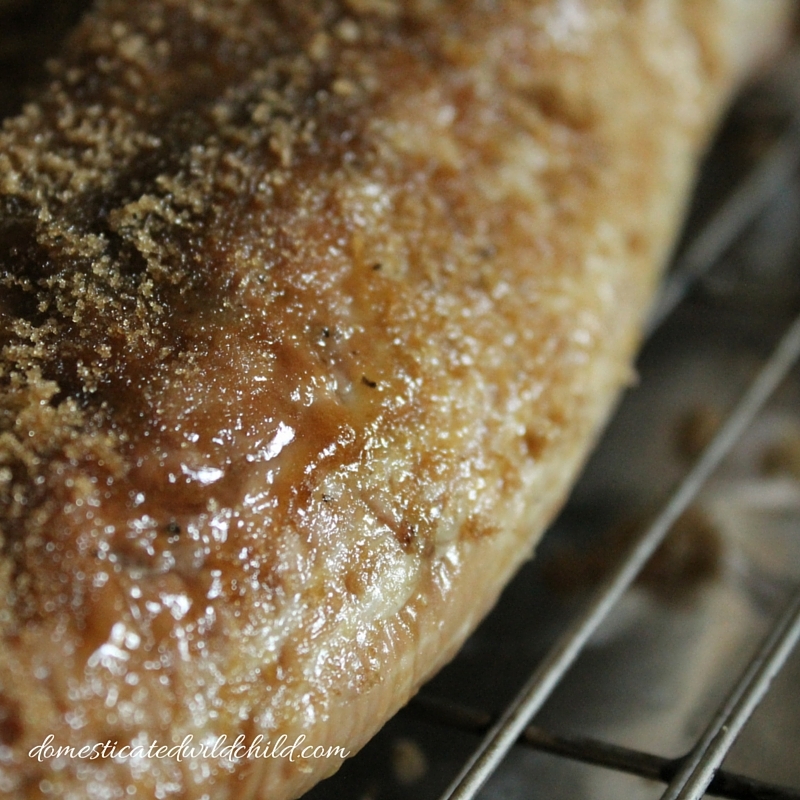 Rub brown sugar over the entire roast, making sure the whole top is coated. 5) Put roast into oven and continue cooking. I do 20 minutes a pound, so it took me an hour for this roast to cook. Always use a meat thermometer and make sure the roast gets to at least 145 degrees before serving. 6) Let roast sit for at least 10 minutes before carving. Perfect time to cook or finish your sides. 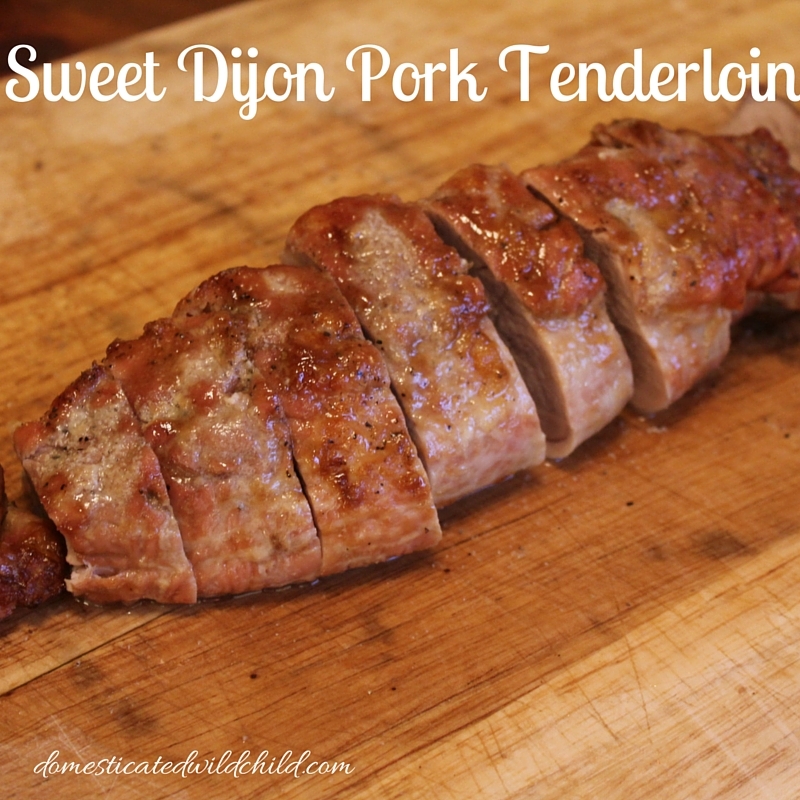 This is a must try for any pork fan, you will not be disappointed! Preheat oven to 425 degrees. Trim the roast of any excessive fat, leave about 1/4 inch at the most. Season the roast with a light coating of salt, pepper and garlic powder on both sides. I placed it on a rack above a large baking sheet. Change oven temp to 375 degrees. Baste the roast heartily with the honey dijon mustard. Rub brown sugar over the entire roast, making sure the whole top is coated. Put roast into oven and continue cooking. I do 20 minutes a pound, so it took me an hour for this roast to cook. Always use a meat thermometer and make sure the roast gets to at least 145 degrees before serving. Let roast sit for at least 10 minutes before carving. Perfect time to cook or finish your sides.